Imagine applying for a job, a position you really want and feel is a good match for your skills, and during the interview process you are seated in front of a psychic. The psychic is wearing full regalia, with a turban, crystals, and mystical garb. They proceed to give you a psychic reading – a reading which will be used to decide whether or not you will be hired for your dream job. You can substitute any number of techniques for the psychic reading – a tarot card reading, palm reading, astrological chart, or phrenological analysis. Would you feel comfortable with such techniques deciding your fate? Would you feel outraged? That is exactly what is happening in many corporations today, particularly in France. The technique that is being used, however, is graphology. 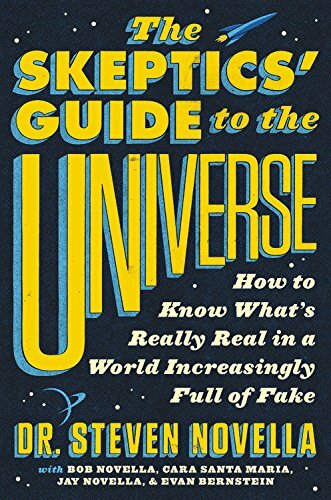 It is as legitimate as any cold-reading technique (that is, not at all) but retains a veneer of scientific legitimacy. Graphology, or handwriting analysis, is a psychic cold-reading dressed up for the corporate world. Got a question for you: do you consider the Search for Extraterrestrial Intelligence to be science or pseudoscience? I recently got into an online debate and found myself in the minority because I maintained that the central thesis — that if intelligent life exists somewhere out there in the greater universe, we would be able to recognize it based upon patterns in radio waves — is not falsifiable. It would seem to me that the only way to truly falsify SETI, we’d need to map quite literally every body in the universe and rule them out one by one and say that they don’t have anything there in terms of extraterrestrial intelligence. Unlike other complex hypotheses that are limited by available technologies, I’m not convinced that the task of mapping the universe is even possible, even with a sufficiently advanced technology. I have received some version of this question many times over the years, always by people who are trying to be skeptical and apply what they have learned about the differences between science and pseudoscience. It therefore seems like an excellent opportunity to explore this important issue. Proponents of creationism have essentially been banned from the public school science classroom. A series of court decisions has created a clear precedence that doing so violates the Constitutional separation of church and state. However, no one really expected them to quietly go away. They have taken on a series of strategies to continue their efforts to teach their particular religious faith as science in the public schools. They endlessly are seeking end-runs around the Constitution. First they tried “creation science,” and then “intelligent design,” but these were both transparently just religious faith crudely dressed up as science. Now they are still trying “teach the controversy” and “teach the strengths and weakness of evolution.” Both have had some limited success, but I predict will also eventually die a legal death. Another strategy is to simply ignore the law and teach creationism anyway. In highly fundamentalist Christian communities there’s no one to blow the whistle, and no one to listen. A recent survey found that 13% of public schools teach creationism outright, while 60% avoid controversy by promoting neither evolution nor creationism. Only 28% teach evolution as the unifying theory of biology (as it should be taught). It should not come as a surprise to anyone that, as a strict materialist, I accept the standard neuroscientific model of consciousness. That means that everything we think, feel, remember, and do is a function of the brain. This includes the emotion of empathy. We are not empathic because it makes sense to be empathic – meaning that most humans don’t simply reason their way to empathy. Nor do we simply learn empathy (although brain development is an interactive process with the environment, so we can’t rule out environmental influences). For the most part, we have empathy because our brains are wired with empathy as a specific function. Like every function of the body you can think of, if it is not essential for survival then some subset of the human population likely has a disorder or even absence of this function. We recognize the absence of empathy as the disorder, psychopathy. Fans of science fiction are likely familiar with the continuity problem. You get beamed aboard the Enterprise by the transporter and everything seems to work perfectly. On Earth you are disassembled into your most fundamental particles in order to capture all of the information necessary to then recreate you in your exact state aboard the Enterprise. The new you aboard the Enterprise is you in every detail, including your stream of consciousness – the thoughts you were having at the moment of beaming. But is it really you? Isn’t it more accurate to say that you were destroyed on Earth and are now dead, and a copy of you was created on board the ship? That is the continuity problem. I have discussed this issues several times on this blog and on the SGU, including on this week’s show. The topic always provokes lively discussion. One common observation that I hear in response is that the continuity problem is not really a problem at all – we lose continuity every night when we sleep, and we are not worried about it when we wake up. I have always found this analogy to be puzzling. It seems so transparently false, why is it so commonly used? When you sleep there is absolute continuity, it has no analogy to the transporter situation. TED is a prestigious biannual conference whose brand is, “Ideas Worth Spreading.” (TED originally stood for “Technology, Entertainment, Design,” but its scope has since expanded.) It has spawned TEDx – regional independent TED style conferences that are allowed to use the TED brand as long as they strive for the same level of quality. Deepak Chopra apparently thinks that TED’s logo should be, “Let’s throw any crap against the wall and let the audience sort it out.” Of course that is what all self-styled gurus and purveyors of pseudoscience want, no real scientific standards so that they can present their crackpot ideas as legitimate. This conflict of vision recently came to a head when TEDx directors (Lara Stein, TEDx Director and Emily McManus, TED.com Editor) wrote an open letter to TEDx organizers giving them guidance on how to avoid accidentally promoting bad science. The letter is an excellent primer on pseudoscience and I recommend reading it in its entirety. The letter was a response to several dubious TEDx talks and the backlash that resulted. Early in the letter they make clear its purpose and their philosophy. Not a bad sentiment so far. I don’t think I would have used the term, “best facts.” It’s a bit awkward, and more importantly science is not just about facts, it’s about how we know what we know, and the interaction of facts and data with hypotheses and theories. This is not quibbling. A public figure with responsibilities toward public science education should have a thorough and nuanced understanding of science education. An Iranian inventor claims to have created a machine that can predict an individual’s future 5-8 years in advance. Ali Razeghi claims to have registered “The Aryayek Time Traveling Machine” with the state-run Centre for Strategic Inventions, but the Iranian government denies this. Details are, as you might suspect, sketchy. Razeghi claims his machine works by a complex “algorithm.” It sounds like it’s a machine, not just computer software. Also he claims that the machine works by simply touching the user. Obviously this is nonsense, but stories like this (now spread far and wide by the internet) always raise the question for skeptics and scientists – how do we address scientific claims that are “impossible,” and is it even meaningful to characterize anything as impossible given the limitations of human knowledge? Imagine that one of your limbs did not feel as if it belonged to you or was a natural part of your body. In a weird way the “extra” limb makes you feel incomplete, less than your whole self. The limb functions, you can feel it, and its completely healthy – it’s just not yours. It is a constant irritant. Eventually you become obsessed with the idea of amputating the limb. You fantasize about amputation and imagine yourself without the offensive body part. This desire to amputate a healthy limb was described and named apotemnophilia by Money in 1977. It has recently been renamed Body Integrity Identity Disorder (BIID). This is a rare and interesting disorder – at first it was thought to be psychological, but it is more likely to be a neurological disorder. Recent fMRI evidence suggests that people with BIID have decreased activation of their right superior parietal lobe when the “extra” limb is touched. This likely relates to the brain’s internal map or schema of the body. Social media has been getting a bad rap recently. Blogs, podcasts, Facebook, Twitter, Instagram, YouTube, and other social media outlets have certainly had a dramatic impact on how people communicate. They are powerful tools and many people have put them to good use. There are some unintended consequences as well, and as a society we are still learning to adapt to this new factor in our lives. There are issues of privacy, the rules of social behavior, and the ethics of spreading dubious information online. We discussed two related issues recently on the SGU. The first was about the recent paper, “Recursive fury: Conspiracist ideation in the blogosphere in response to research on conspiracist ideation,” by Lewandowsky. Essentially Lewandowsky wrote a paper about conspiracy theories around the denial of global warming. Part of the backlash against that paper by self-described global warming skeptics included further conspiracy theories about the paper. Lewandowsky could not resist the irony, hence his subsequent paper.